Scientist who became one of the first African-American microbiologists to receive a Ph.D. from an Ivy League institution when he received his Ph.D in microbiology from the University of Pennsylvania in 1957. His family moved to Ohio during the Great Depression. 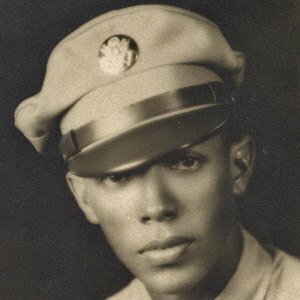 He served as a munitions sergeant in the Army during World War II before receiving his Ph.D in microbiology as a predoctoral fellow in 1957 from the University of Pennsylvania. He married Gladys Geraldine Williams in 1947 and was part of one of the few African-American husband-and-wife teams in science with her. He is a famous biologist like Alexander Fleming.